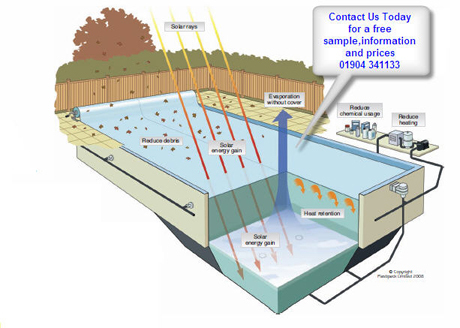 the cover increasing the pool temperature by up to 8 degrees C.
approximately 32,000 litres per year. This figure is considerably higher for hotter climates. 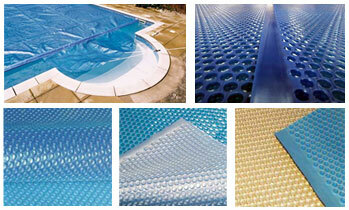 A Geo Bubble Sol+Guard cover can help reduce chemical losses by evaporation by up to 30% when it is in use. used, it is possible to invest in half the amount of panels. 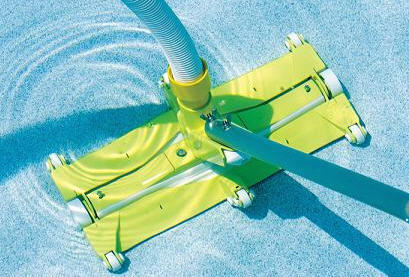 be kept out of the water, greatly improving the quality and appearance of the water. 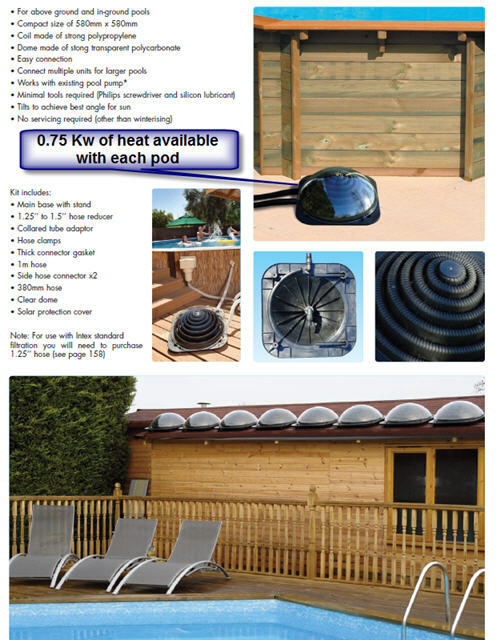 Geo Bubble Sol+Guard pool cover will pay for itself in less than a year. 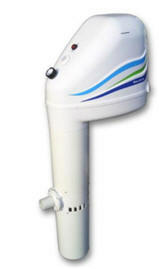 The Geo Bubble Sol+Guard cover has a 6 year pro rata warranty. 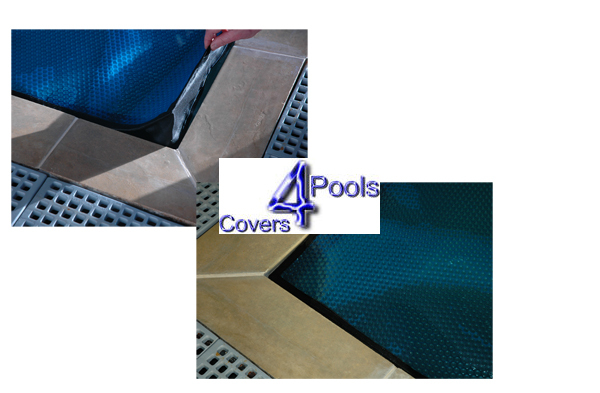 GeoBubble " technology combined with these bubble cover materials will give you a longer lasting* swimming pool cover with the highest energy and chemical saving efficiencies. 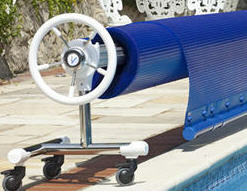 *provided swimming pool water is balanced within industry standard. 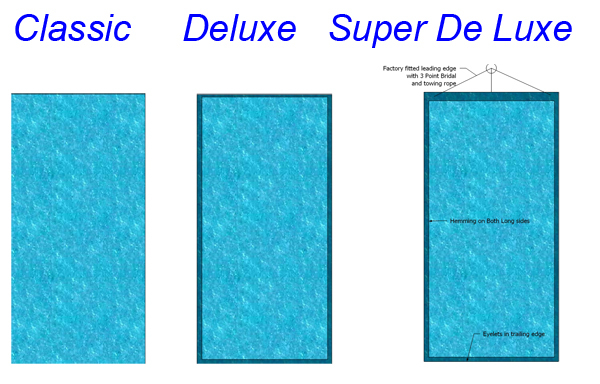 To order order on line simply caculate the total length and width of your pool in metres and then put that total into the quanity box.